The coaches will be awarded with Rs 25 lakhs each, while the non-coaching support staff will receive bonuses which will be equivalent to the pro-rata salary/professional fee. 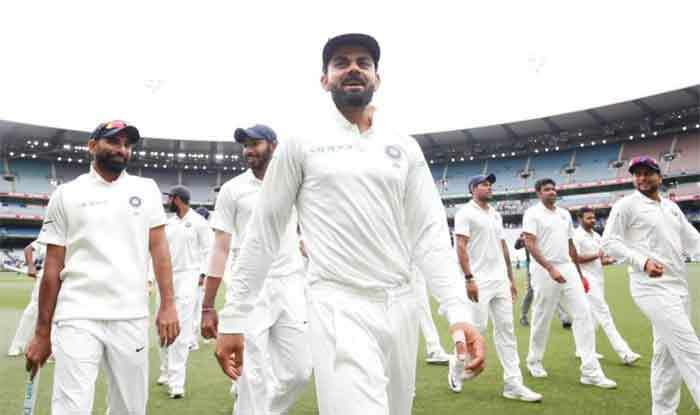 The BCCI on Tuesday announced cash awards of Rs 15 lakhs per match for each of the playing eleven that featured in India’s maiden Test series win on Australian soil. Virat Kohli and Co. defeated Australia 2-1 in the four-match Test series Down Under, ending India’s 71-year-old wait for the rare achievement. Congratulated the team, the BCCI also announced cash awards for all the reserve players, as well as the members of the support staff. “The bonuses will be equivalent to the actual match-fee payable: which is INR 15 Lakhs per match for Playing XI and INR 7.5 Lakhs per match for the reserve players,” the BCCI said in a release. India won the first Test of the series in Adelaide and the third in Melbourne – their first ever Boxing Day Test win. They had lost to Australia in Perth while the fourth in Sydney ended in a draw thanks to rain even as India threatened to win the series 3-1. Also, Pakistan Prime Minister and former cricket captain, Imran Khan on Tuesday congratulated India on becoming the first Asian team to win a Test series in Australia. “Congratulations to Virat Kohli and the Indian cricket team for the first ever win by a subcontinent team in a test series in Australia,” Khan tweeted. Considered an inspirational former captain, Khan led Pakistan to their sole World Cup title till date, in Australia in 1992.